How do homeless people become homeless? Since setting up in 2007 we have met so many people, each with their own story to tell. Have a read through some of the Liverpool Homeless Football Club players stories. 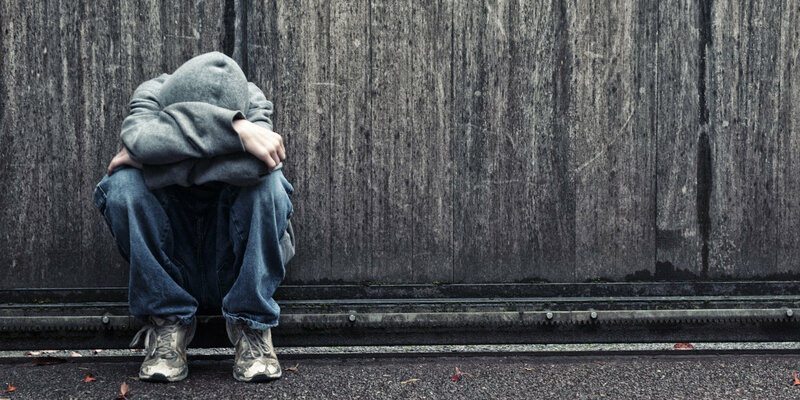 Their life experiences will help you understand how homelessness can happen to anyone. Never forget that according to a report carried out by Shelter, there are 8 million people in the United Kingdom potentially one pay cheque away from losing their home. Carl was discharged from the army after developing PTSD on his return home he found it difficult to fit back into society, he ended up homeless, sleeping in his car with just a few possessions. Carl was referred to Liverpool Homeless Football Club (LHFC) to engage in some of the football sessions to rebuild his social skills and fit back in to mainstream life, after several sessions Carl began to make friends feel more confident and started trusting the coaching staff, after 3 months Carl was put through his level one and two football coaching badges, giving him more confidence and the skills to join LHFCs coaching team, Carl now coaches the walking football and the 5-a-side team. He is rebuilding his life using the power of football and is now in his own property. "Liverpool homeless are my family, thanks to them my life is getting better"
James lost his adopted mum when he was 18, his only support. She left him an inheritance which he spent within eight months. James became homeless and ended up in hostel life, Jame was a great footballer and had the opportunity to go to Crewe for trials but never made it past the minibar, from his Crewe hostel he came to Liverpool for a fresh start. James joined LHFCs 11-a-side team and soon became top scorer, LHFC has given James a fresh start with his life. He is now vice chairman and on the board of LHFC and is currently working in Jaguar Land Rover. James is also in the process of looking for his biological mother, and he plays Sunday league football, which he really enjoys. "It's great knowing you have the support of people who really do care and want the best for you, they are my family"
Jess has always loved football but fell out of love when she was asked to leave the family home, Jess has Aspergers and her family found it difficult to cope with her, ending up in a homeless hostel she got involved with LHFCs women's Futsal team where she got her mojo back to play football, LHFC has seen the potential in her and put her through level one and two coaching badges, Jess uses football to combat her Aspergers Syndrome, and has the support of the other women who all give comfort and encouragement to each other, using football as the common denominator. Jess is now one of LHFCs Women's coaching staff. A word from Jess "Without LHFC I would not be alive today. They helped me when I most needed help." "Sometimes those who give the most are the the ones with the least to spare"
After I left school I joined the army but had to leave due to an injury, I wasn’t getting on with my adopted family, became homeless and ended up in a hostel. Things seemed pretty bleak but through getting involved with the football team I was able to gain my level 1 FA coaching badge. That then gave me the confidence to go on and gain my level 3 which gave me the qualification to be able to coach adults football. It sounds strange but if it hadn’t been for the football I wouldn’t have ever thought I’d gain any qualifications let alone academic, the level one gave me not only the coaching qualification but maths and English which I’m extremely proud of. I love the way Liverpool Homeless FC makes me feel and believe it gave me motivation, improved my self-esteem and pushed me onto better things. This last year my partner became pregnant and through hard work we moved into a new home together, I have also managed to gained employment through Aldi, and recently welcomed my son into the world. I was made homeless when I was only 16 years old due to a very complicated and difficult family situation which had a devastating effect on my mental health. I didn’t know what to do or where to turn, I ended up at Bosco where they helped me get involved with the football team. Football helped me gain confidence, meet new friends and gave me the opportunity to be involved in some unforgettable events such as a memorial tournament dedicated to Anthony Walker. I was also selected to play in the Homeless world cup in Sweden in 2004 which was a fantastic experience. Along with the hostel I managed to gain NVQ’s to train to become a chef. I now have my own place, volunteer in Bosco when I can and continue to play with the team, obviously. When I was 17 I became homeless due to a breakdown in relationships with my family. I was staying in Men’s direct access hostel when I got involved with the team, playing football was a way out of the hostel life and provided the motivation I needed to get out and become more active. Football has a way of making people equal, it helped me get my life sorted. My girlfriend and I have had a new baby, I have managed to start a course in sports science and get my own place, it was so brilliant for me that I’d like to see it expand and include other activities beyond football. That way loads of other people could benefit in the way I was lucky enough to have. I joined the football team whilst staying at YMCA hostel, it’s been a wonderful experience. One of the best things has been the chance to get involved in something positive with people in the same situation as me. I am 53 and there are plenty of younger lads on the team but we all get on great together, there is so much enthusiasm, team spirit and no prima donnas either, which helps! Obviously, football is a fantastic way to keep fit but along with the other events we get to take part in they help people build their self esteem and confidence which can be a huge issue when you are homeless. I’ve found it to be nothing but a remarkable thing and gave me the motivation to want to make things better. At age 16 I became homeless because I wasn’t getting on with my mum. I was at homeground first then came to salvation army hostel, I got involved in the football team where I managed to meet new friends and gain confidence to go onto complete my level 1 coaching badge and gain qualifications in maths and English. I helped manage the salvation hostel team where everyone was impressed, I did better than I thought, and it gave me the independence to want to move forward. The team is important to me and has done nothing but help me grow. "There is no better exercise for the heart than reaching down and lifting people up." I was staying at field lane hostel when I got involved with the football team, after a couple of years I was not only a member of the team, but I also became a member of the committee where I supported the committee at meetings on match days. I have made lots of friends among members of staff and residents. I have had opportunities through the club to trial with the homeless world cup, be involved in different events and I have also gained quite a few qualifications. I’ve my level 1 & 2 FA coaching badge, maths and English, first aid, referee badge, and level 2 food & hygiene. I have through determination managed to get my own place, and gain employment in security. I continue to support the team, and volunteer with Liverpool homeless when I can. I became homeless following a relationship breakdown with my mother, I arrived at Derbyshire house where I was told about different activities they offer such as the football. I was scared when I first came into the hostel as I'd heard all stories, but I found it was full of people just like me who simply went through tough times and ended up homeless. I attended training sessions with Liverpool homeless and ended up winning division 2 player of the year for the homeless league which was presented by Jamie Carragher. I have now left the centre and moved in with my partner, through the football I keep in contact with everyone and am able to get support when I need it. I now feel that I have the confidence to move forward, and the next step is to gain employment. I became homeless through several things, the loss of my dad, my mother drinking very heavily, and a relationship breakdown with my partner. I began to drink and soon became dependent. I came to Bosco and with help from the staff I began to change my life around. I joined the football team and became involved with playing in the 11-a-side team every week. Through my involvement I have managed to combine other gym activities, English and maths and counselling courses. Football opens doors. It gives you the opportunity to turn your life around, you feel you belong and it allows you to escape without turning to drugs or alcohol. I became homeless aged 16 after my relationship with my family broke down I was asked to leave. I was placed in a hostel but shortly after was asked to leave there as they found me to be disruptive, I then tried another hostel where I was faced with the same issue. I then came to 11 Green lane. I knew I had to try harder and curb my disruptive behaviour, staff encouraged me to channel my energy into physical activities. I took up boxing and took part in playing football with the team, I was spurred on to take part in the homeless games where I played for first place. I scored 26 goals in 5 games. I then joined Mildway hostel and helped them get a bronze medal. I attracted lots of attention and was asked to join loads of different teams for the hostels. I stay true to 11 green lane and look forward to playing with them again next season. I became homeless and ended up in New start, I stated joining in with the sessions, and have been involved with the football ever since. I enjoy match days and have met loads of people and made plenty of friends. Last season I was made manager of the team which has given me so much confidence, I feel really proud. Football has given me the support and with help from new start I have managed to improve my quality of life. I became homeless through struggles with alcohol. I got involved with the football and started to captain light in the Whitechapel, as well as imagine your goals league held at Greenbanks sports academy. I not only captained the team but I organised the teams who finished runners up in both the leagues this season. I managed to gain a place at college and I also volunteer as a mentor to some of my former peers. I now have my own flat and attend AA meetings regularly. Due to a relationship breakdown and family issues, I became homeless. I was in homeground hostel when I heard about an initiative called Liverpool Homeless Football club. I started to attend football sessions and broke into the 11-a-side team, since then had the chance to trial for the homeless world cup which was a great experience, attend loads of events and even won man of the match in Scotland. I have also had the opportunity to complete a level 2 food & hygiene qualification, I continue to try and better my life.